My WiFi Isn’t Working After iOS 11 Update, How to Fix? My WiFi isn't working after iOS 11 update – iPhone WiFi slow always and I cannot use it almost. Does anybody know how to fix my WiFi problem after iOS update? I need to fix this urgently! Apple released an iOS 11 beta for developers that allow iPhone and iPad users with a developer account to try the software ahead of its official release date. Apple's also released a public iOS 11 Beta into the Beta Software Program which means anyone with an Apple ID can now try iOS 11 for free. Your testing will help Apple improve the final version of iOS 11. It also gives you a chance to test out some of iOS 11's most exciting features before everyone else. However, as it is in the beta version that means there must problems and bugs. Slow WiFi connection on iOS 11 are plaguing the iPhone, iPad and iPod touch. If your device starts acting up, try a fix from our list before downgrading to iOS 10. Here in this article, we are mainly focusing on the issues relate to iPhone WiFi slow after iOS 11/ iOS 12 update. If you are facing slow WiFi connection after installing iOS 11 beta, the first thing we would prefer to suggest is to search for the latest update for the beta version. You can update your iOS to latest using iTunes or on your iPhone wirelessly. To update your iOS, you can refer to the Apple's official link. Another fix you can apply in order to fix your iphone WiFi networking issues is resetting your network settings. When you reset your network settings, it clears up your iDevice's caches, DHCP settings, and other networking related info. To reset network settings, all you have to do it go to the Settings > General > Reset and tap on Reset Network Settings. Go to Settings > Wi-Fi > Click on the name of your network or the blue "i" next to it. Note down your current DNS numbers and then erase them. Enter "8.8.8.8, 8.8.4.4" for Google's DNS or "208.67.222.222,208.67.220.220" for Open DNS. The two DNS numbers provide you with a primary and a secondary server. Log in to your Fix OS router. Go to Other Advanced Options. Finally, you can utilize your functional Wi-Fi once again. Wi-Fi connection is now becoming indispensable for most mobile users, so it's a great 'tragedy' when iPhone fails to connect to Wi-Fi. In such a case, please check out these before going further check that router is running normally, your iPhone is within the service range, and it's not an Internet Service Provider problem. However, if you found these things in a good state you can restart your iDevice. 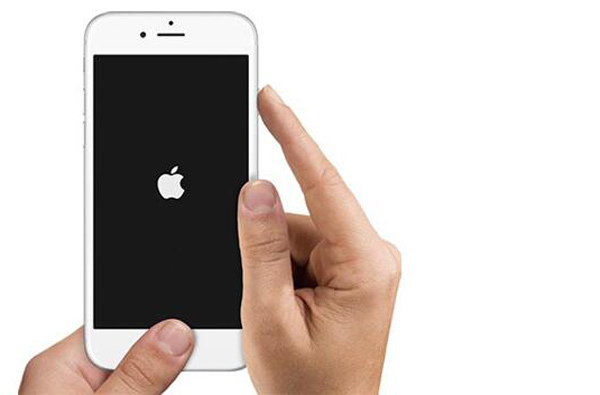 To restart your iPhone 7, you need to press and hold the Sleep/Wake and Volume Down buttons until the phone restarts. If you use a device before iPhone 7, just press and hold the Sleep/Wake and Home buttons simultaneously until the phone restarts. Now if after applying the above-mentioned fixes but your Wi-Fi problem still exists, then the only option left to you is to completely reinstall iOS and the advent of third- party tools have made this thing quite easier rather than using iTunes software for this purpose. While searching for the right third party tool for reinstalling iOS, the software which caught our attention is iMyFone D-Back. 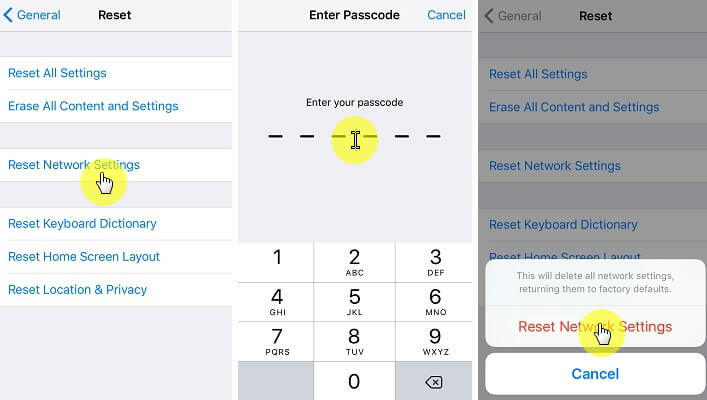 iMyFone D-Back is a simple and lightweight tool to recover the deleted data from iPhone/iPad/iPod touch and fix different iOS issues by reinstalling iOS. The software offers a simple step by step wizard to recover the data from all the possible way you can find. If you cannot use your iPhone after iOS 11 or iOS 12 update, you can also try the program to fix. Fix WiFi issues, Safari issues, battery issues after upgrading to iOS 11 by completely reinstalling iOS. Recover deleted data from the phone itself or from iTunes or iCloud in case you lost your iPhone. Offers three different modes to fix your iPhone if it gets stuck on Apple logo, cannot be rebooted or more issues. How to Completely Reinstall iOS by iMyFone D-Back? In order to get back your lost Safari history, the first thing you need to do is to install iMyFone D-Back on your PC/Mac. 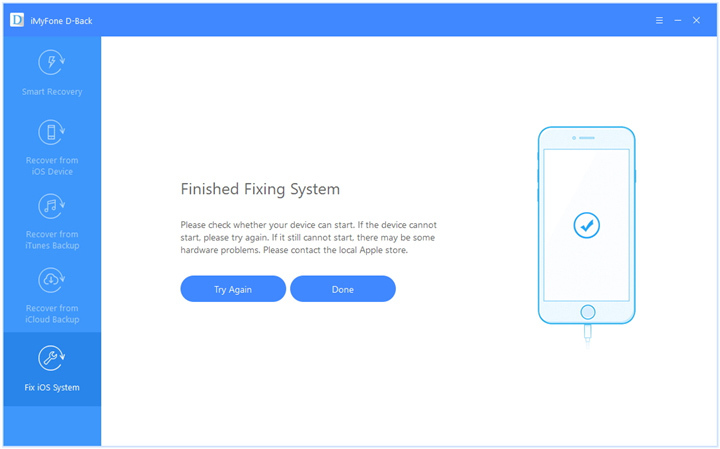 Comes up with a feature of "Fix iOS System" that is specifically designed for the iOS users who are stuck due to a various iOS related issue like the one we are discussing slow Wi-Fi after installing iOS 11. 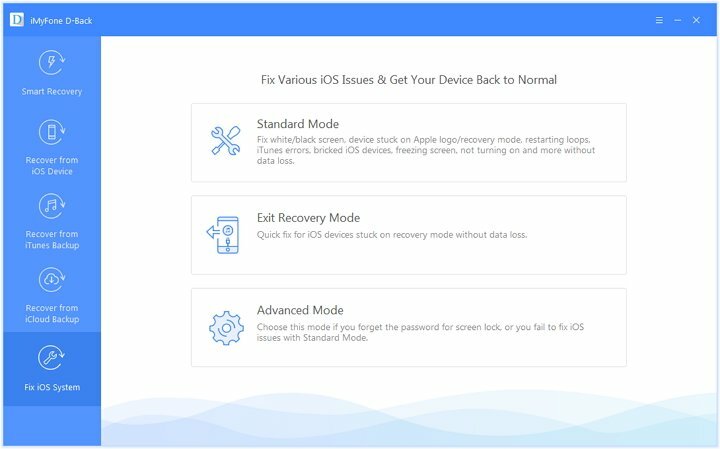 This feature brings three modes for its users that are the Standard mode, advanced mode and one-click to exit Recovery mode. 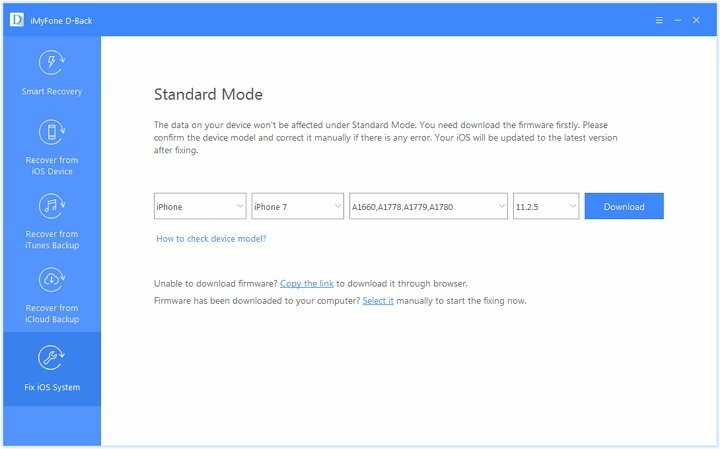 This time we prefer to use advanced mode for complete reinstallation of your iOS and the following steps will guide you to process this mode. Run iMyFone D-Back and choose Fix iOS System from the left panel. You will see the three fixing modes the program offers. Choose Advanced Mode and the program will lead you to put your device into DFU Mode/Recovery Mode. iMyFone D-Back will detect your iPhone after it is in DFU/Recovery Mode and show you the corresponding firmware package. Click Download button to download the firmware package and then you can proceed. Note: the scanning time depends on the space used on your iPhone. We're in the first days of Apple's new operating system update and by the time after encountering other problems, we will keep you updated with the fixes regarding that problem. Presently we hope that the methods stated in this review will surely help many of iOS users regarding WiFi issues after iOS 11/12 upgrade. Here we would also like to state that iMyFone D-Back performs a fantastic job by providing a recovery software for iPhones and other iOS devices. It is the right third party tool can recover and restore files from damaged iOS devices, accidental deletions, and corrupt devices.